Born in London in 1995, Timothy Ridout studied at the Royal Academy of Music with Martin Outram, graduating in 2016 with the Queen’s Award for Excellence. He has also studied at the Kronberg Academy in Germany with Nobuko Imai. In 2016 Timothy was the first ever British winner of the Lionel Tertis International Viola Competition and was selected for representation by Young Classical Artists Trust (YCAT). Previous awards include 1st Prize at the 2014 Cecil Aronowitz and 2nd Prize at the 2015 Windsor Festival International String Competitions. He has also been awarded the European String Teachers Association Prize at the International Johannes Brahms Competition in Pörtschach, Austria, and a Special Prize at the Max Rostal International Competition in Berlin in 2015. He has participated in masterclasses with Lawrence Power, Maxim Rysanov, Hartmut Rohde and Thomas Riebl, and between 2013-2016 worked intensively at the International Musikakademie in Fürstentem, Liechtenstein as a scholarship holder. Timothy has given recitals at Wigmore Hall, Munich Gasteig, Verbier Academy & Festival, and Schloss Elmau. He has taken part in the Eggenfelden Klassisch, Koblenz, Beethoven Bonn Festivals, IMS Prussia Cove Open Chamber Music and gives performances with the Nash Ensemble. He also appears as soloist with the Baden-Baden Philharmonie and he European Union Chamber Orchestra. 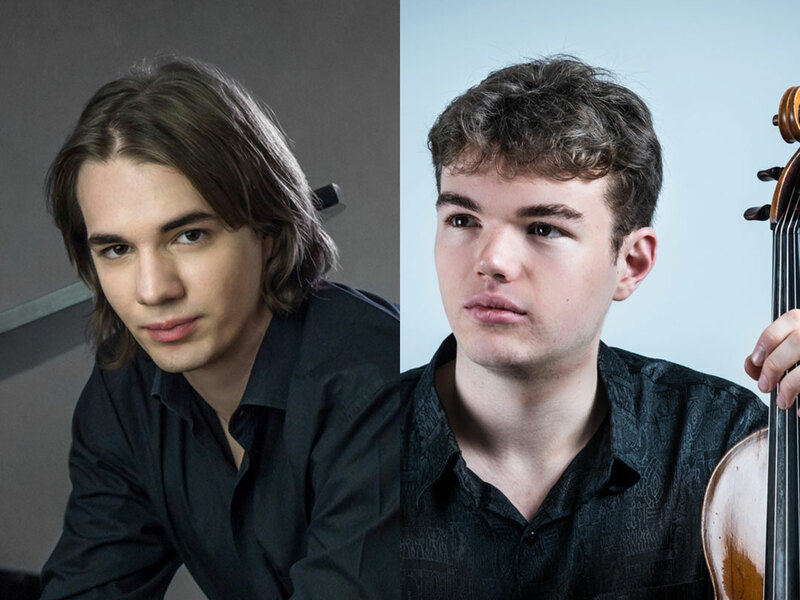 A keen chamber musician, Timothy has taken part in the Bad Kissinger Sommer Festival (Germany), Schubertiade Festival (Austria), Musique à Marsac (France), Accademia dei Cameristi (Italy), and the Next Generation Festival in Bad Ragaz (Switzerland). He was a member of the Celan Quartet between 2011-14, undertaking residencies at the Wye Valley Chamber Music Festival and Musikdorf Ernen (Switzerland). Timothy’s first CD is of music by Vieuxtemps for Champs Hill Records. Young Hungarian pianist Daniel Lebhardt has impressed audiences and critics alike with his thoughtful interpretations and outstanding virtuosity. Daniel won First Prize at the 2014 Young Concert Artists Auditions in Paris, and then won YCA’s International Auditions in New York, where he was also awarded the Paul A. Fish Memorial Prize and four concert prizes. Among his many other accolades, Daniel won First Prize at the Russian Music International Piano Competition in California, First Prize at the Citta di Gorizia International Piano Competition in Italy, First Prize at the Kosice International Piano Competition in Slovakia, and First Prize at the Carl Filtsch International Piano Competition in Romania. Most recently, he won the Young Classical Artists Trust (YCAT) 2015 Auditions in London. Daniel mades his recital debuts in the Young Concert Artists Series at the Kennedy Center in February 2016 and in New York in the Rhoda Walker Teagle Concert on March 1. He also appeared in recitals for the Buffalo Chamber Music Society, Hayden’s Ferry Chamber Music Series, the Port Washington Library, the Levine School of Music, and the Paramount Theatre. In the UK, Danielhas appeared in recital at London’s Steinway Hall, the Colston Hall in Bristol, the Pounds Arts Centre in Wiltshire, the North Fylde Music Circle, the Darlington Piano Society, and as soloist with the Plymouth Symphony Orchestra. He has also performed at Germany’s Usedom Music Festival and given recitals at the Bela Bartok Memorial House in Budapest, at the Senate House in London, at the Musée du Louvre in Paris, and at various concert venues in Hungary, Austria and Japan. As a result of winning the Royal Academy of Music’s prestigious Patron’s Award, Daniel gave his Wigmore Hall recital debut in May 2015. As a very active chamber musician, Daniel performed at the BBC Proms in a Composer Portrait of Olga Neuwirth, which was recorded and broadcast by BBC Radio 3 in 2012). He has also performed with Mark van de Wiel, principal clarinet of the Philharmonia Orchestra, in the Clarinet Sonatas by Brahms.